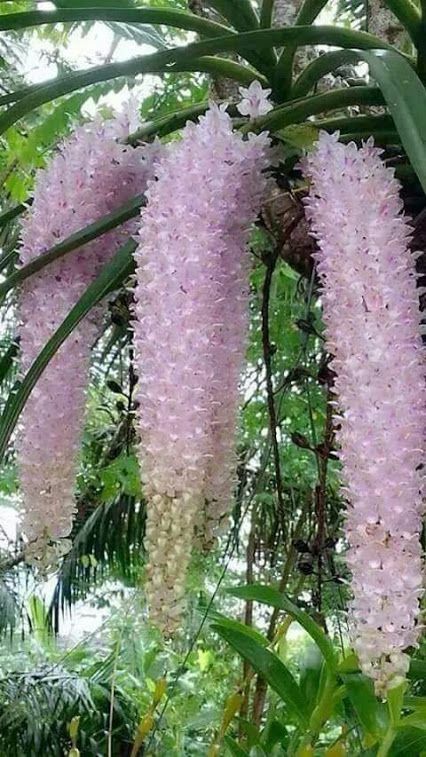 Beautiful Flowers Garden: Beautiful Rhynchostylis - It's a stunning orchid when in bloom, and the very fragrant racemes [Inflorescences] bear spicy flowers. Grows best in indirect light. This vandaceous genus can be found from India southeast to the Philippines. Beautiful Rhynchostylis - It's a stunning orchid when in bloom, and the very fragrant racemes [Inflorescences] bear spicy flowers. Grows best in indirect light. This vandaceous genus can be found from India southeast to the Philippines.